TRID…..What does it mean for real estate? The murmurs are gaining momentum now…lenders, and realtors and escrow officers oh my! It seems like changes are coming at us , the professionals, at record speed and now we are being summoned to hurdle through a fiery hoop of disclosure changes…who is ready???? October is just around the corner. Currently the lending institution is required to provide 3 vital documents to any home shopper who fills out a loan application: The GOOD FAITH ESTIMATE, The TRUTH IN LENDING and the Right to receive copy of appraisal. TRID will be replacing these documents with one document called the Loan Estimate, LE. The Loan Estimate will contain the terms and actual cost estimate to the consumer within 3 days after the consumer has provided all financial documentation and completed loan application. There is a caveat…the consumer must identify a single property….no more placing multiple offers on multiple properties. SO for us Realtors that means we will no longer be utilizing the AAR loan pre qualification form….now we will need to identify a single property and have that property listed for qualification on the LE …. (yes, moans…..this means showing properties with out that golden prequal….however, between you and I and the fence post…was that prequal ever really golden??? )….But never fear….you can still have your clients check with a loan officer on the basics to see what price range they can shop prior to blazing the home show trail. Once a property is identified get that LO working!!! You will need that LE to submit with your offer. The LE will name the property and show the actual costs, including cash to close estimate and the added protection to the consumer is that these fees won’t be notated randomly , they will be listed concisely and in an orderly fashion. Furthermore the taxes , insurance and HOA fees will also be listed at this time…..the idea is to “disclose” all fees so that the consumer is not surprised at closing. By the way…..this should help us Realtors prevent “commissionectomies” as well! Remember the LE is not a covenant with the lender who prepared it. The Buyer has 10 days to express his intent of which lender he will choose based on the fees given, thus allowing the Buyer to comparison shop. Your job as a Listing agent and a Selling agent is to make sure the intent is given within that 10 day timeframe. OK! So that sounds good so far….what about the closing disclosures that follow once we are in escrow? Current Lender practice is to provide the escrow officer with the loan costs and escrow impound information and then the escrow officer would prepare the pre audit settlement statement also known as the HUD 1 Settlement for all parties to review. A sigh of relief from the escrow side now………sighhhhhhhh…… Lenders will have to provide this document now to all parties which will replace the HUD 1 with the Closing Disclosure, aka CD. The Closing Disclosure will be given to all parties 3 days before close of escrow and it will contain all settlement fees listed alphabetically…easy peasy reading for the consumer. There will also be a ZERO tolerance threshold for unforeseen fees including appraisal fees…meaning no more last minute increase or 10% threshold allowances…and guess what!! THIS, again, protects the Realtor from the pressures of performing a “commissionectomy”!! If any changes to APR occur then a new CD will be prepared with the changes and a 3 day waiting period will ensue before escrow can close. The new responsibility for us Realtors is to make sure our clients have received the LE and the CD within the proper timeframes so we can coordinate with all parties for closing. So there you have it….BIG Changes coming for October 2015…..more responsibility for the Realtor and the lender, easing a bit up on the Escrow Officer’s responsibilities and the ultimate goal ….Protecting your clients! Yes, it may seem like a fiery hoop to jump through…but then again, when have we ever NOT jumped through fire before with our clients?! Why is Selling My Home Taking So Long? Welcome 2014!!! First quarter is underway and the National news tells us home values have risen nearly 28% in the Southwest! What great news for sellers…so the seller does the obvious thing-LIST MY HOUSE!! Multiply that by a few times and now “presto” we have inventory- lots of inventory. Something we haven’t seen in awhile in our real estate market. What is normal you ask? A typical real estate cycle sees a 4- 6 month supply of inventory. How is that calculated? The formula goes like this…. In the North Phoenix area 1,100 homes sold in the last 12 months. Divide that by 12 months and we get an average of 92 homes sold per month. The current active inventory in the North Phoenix area is 544 homes. Divide that by 92 and we get 5.9 months worth of inventory. What this means is it will take approximately 6 months to sell all 544 homes currently on market . Therefore, it can take up to 180 days on market to sell your home in a normal market. Yes, that is normal. The last whirlwind decade would prove otherwise, but it was an extraordinary time in real estate- nothing normal about it. With a larger supply of inventory the Buyer has more to choose from and too many choices can slow down the buying process. The best advice I have for Sellers is to make your home stand out from the rest. Be the cleanest, most updated ( don’t go overboard- remember you need to reap that equity gain), nicely staged and priced well- competitively. Be realistic and be motivated these are the key ingredients for a successful sale in a “normal” market. So if your home is listed for longer than 45-60 days without an offer do not despair, this is normal!! What was the old adage…… “All good things come to those who wait”…..or maybe you need to price it better- be realistic and be motivated. And most importantly hire an exceptional Realtor. PSSST I know a really great Realtor!! Yes, for many that is the question. That is also the question posed by many buyers wondering if now is the best time to buy. I have not had the time to drag out my old fortune teller machine, dust it off and drop in my dime , but I have been reading a whole lot of interesting research and articles that all seem to point to – Now is good. Let’s look at a few market indicators that could affect both selling and buying behaviors. 1) Mortgage rates are on the rise. Last I checked FreddieMac showed a 3.59 percent- highest its been since March. Up from those record lows of 3.30 percent awhile ago. 2) Unemployment is down again. Which may have prompted Bernanke to tell Congress recently that the stimulus efforts would be scaled back if the employment outlook sustains and continues to improve. Why does that matter? It does if you are watching interest rates rise. 3)National Association of Realtors claim home prices rose 11 percent since April 2012 and continue to show signs of marked increases. In a nutshell, home prices are at record highs since 2008, mortgage rates are rising and the employment outlook is improving. 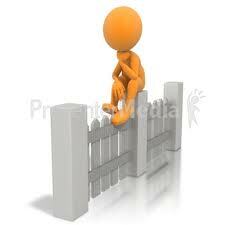 If I were a homeseller sitting on the fence pondering selling, I would say NOW would be a good time to sell. On the other hand, if I were pondering purchasing a home, although home prices are on the rise, those mortgage rates are still looking pretty good at 3.59 percent, I would say NOW is a good time to buy too! For those overly analytical fencepost sitters, I agee that IF you sell your home and purchase another home you may be losing that lovely 3.25 percent rate you got last year, but gaining a 3.6 to 4.5 percent is still much better then the 6 percent we all thought was WONDERFUL in the not so distant past. It is all relevent. Perhaps you may be having a hard time justifying paying $50 – $100k more for the same size home you did 2 years ago. Well, true as that is, it is also very true that you are most likely walking away with a nice equity score. Good for you!! When you look at the bigger picture, that nice equity score may give you more purchasing power and the mortgage rates are still considerably LOW . So what are you waiting for??? Jump off that fencepost …NOW is as great a time as any. Now……………..what to buy? Good question! I can help you with that!